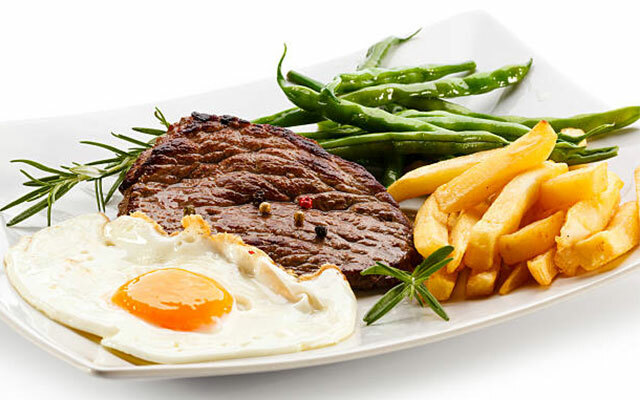 Many nutrition experts have said that eggs are high nutritional value food. There are also some recent studies pointing out that eating an egg per day can bring you “head to toe” healthiest benefits. In particular, chicken egg is a nutritious food, used regularly by everyone and every family. They rich in vitamins A, vitamin D, vitamin E, vitamin B1, vitamin B6 and vitamin B12. Along with that are some other nutrients like calcium, manganese, iron, zinc and many amino acids needed for the immune system. Egg yolk is good for your brain and the nervous system. 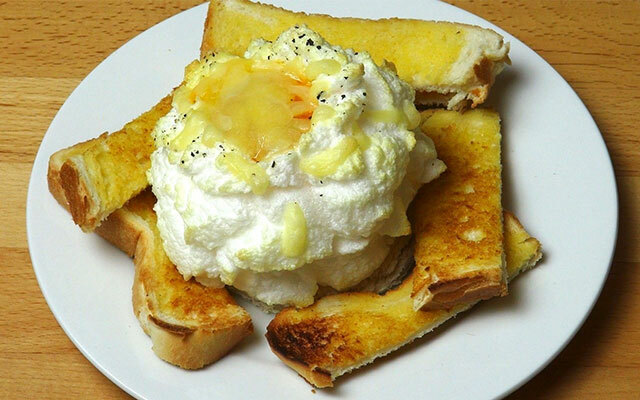 Egg whites have an anti-aging effect, increasing strength and endurance for muscles. Lecithin in eggs works in the digestive tract, supports the activity of the liver and reduces the risk of artery blockage due to increased cholesterol. Eat chicken eggs properly to maximize the effect on health. Nutrients in chicken eggs have a great effect on the development of the body and the nervous system, protect the liver cells, improve the body’s metabolism and immunity while slowing down the aging process and prevent cancer. In the processing of chicken eggs, boiling is considered the safest and brings the most effective nutrition, compared to the omelet or fried eggs. The best way to boil an egg is to add them into the pot and boil over. When the water is boiling, let the heat low down and cook in 2 minutes. Then, turn off the oven, soak in cool water in about 5 minutes. As such, the eggs are soft boiled deliciously, egg yolks are not cook entirely but they will be a little bit melt down and run out when you cut the eggs in half. 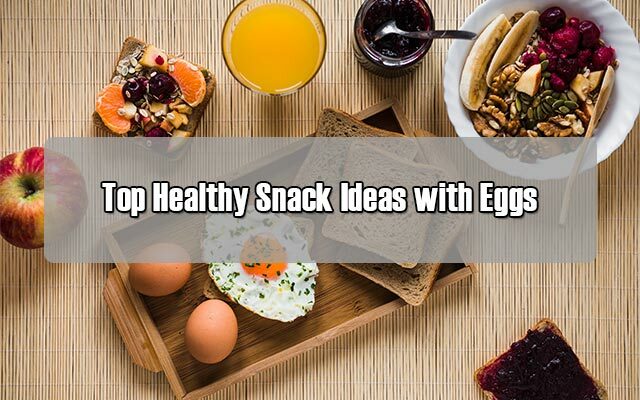 By this way, you can enjoy eggs more deliciously while all nutrients are easily absorbed to the body, do not interfere with the stomach and liver. It is possible to add some salt to boiling water to keep the eggs from breaking while processing whereas easier to peel off after that. If the eggs are overcooked, the surface of the yolks will appear a layer of blue-gray iron produced in chicken eggs, making the body is difficult to absorb. 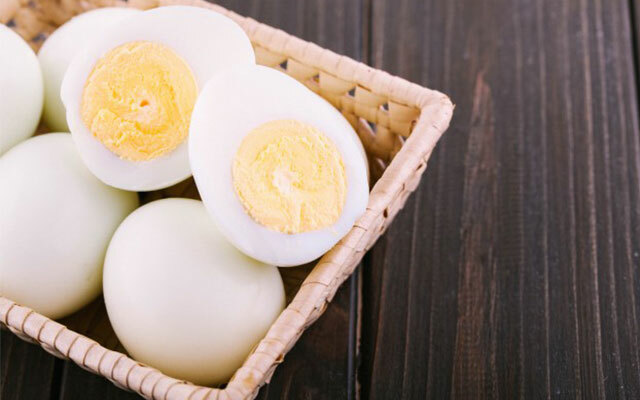 Protein contained in the egg under the high temperature will get tense a little bit, making them become harder and borer to eat while also very difficult to digest. If you make the omelet, it is wise to choose a clean and safe egg. Put it in a hot oil pan, do not break the yolk, wait until the egg white begins to tense, cover with a lid and cook in medium heat in 3 to 4 minutes more. Before covering with the lid, it is also possible to add some water and steam the eggs for a few minutes, helping them to cool better without burning. 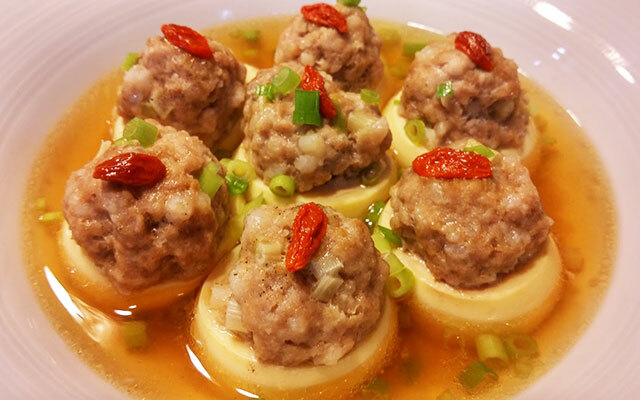 As a result, the dish is more delicious while retaining the valuable nutrients in the egg yolks without fear of bacterial infection (Salmonella). How much eggs are enough? Normal people should eat 4 eggs a week. Eggs were previously thought to be foods that raise cholesterol. Recent studies have shown that eating eggs is good for health. As mentioned above, they are rich in protein, vitamins A, vitamin D, vitamin B12 and Minerals such as phosphorus and selenium. Eggs are a great alternative if you do not like to eat meat. Eggs also contain choline, a nutrient that promotes brain activities and improves memory. Therefore, pregnant women and the elderly should eat eggs. People who do not have appetite, or who have anorexia need to eat them as well, because this food will provide a large number of vitamins, minerals and proteins so that your body is not malnourished. To eat eggs safely, people who don’t do gym or get standard physical health should only eat up to 4 eggs a week. Big and energetic people can eat 7 ones. 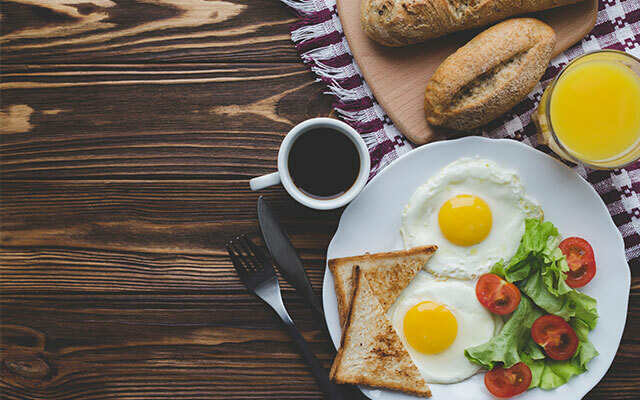 You can process eggs in many ways and ideally, eggs should be eaten in the morning to provide the energy needed for a day. Now, how do you prepare your breakfast with eggs? Omelet? Good choice! It’s quick to both prepare and eat to meet our most common requirement of a hurry morning for either school or work. 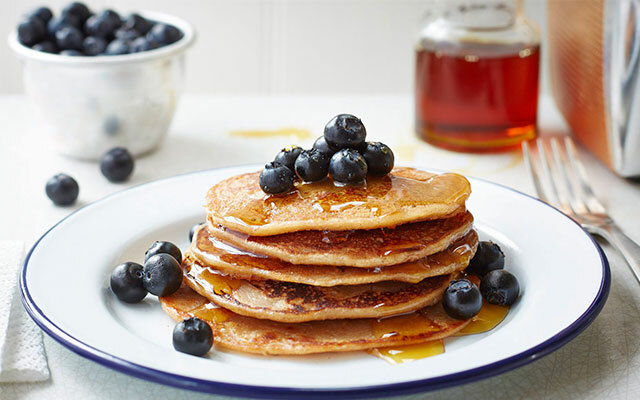 But have you tried these recipes with eggs? They take only the same time for preparation as omelet but are sure to bring more flavorful taste for your morning meal. Without further ado, let’s get straight into it! 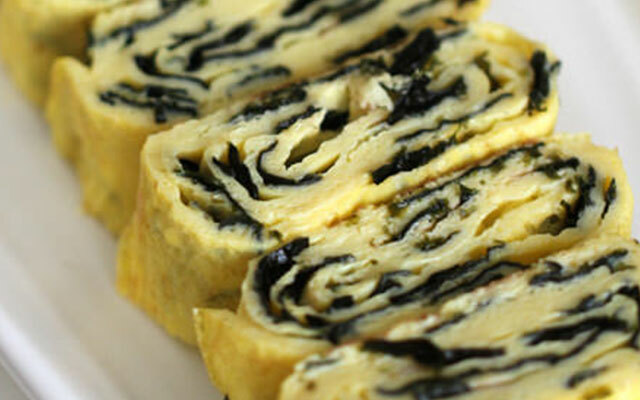 This recipe is actually based on the traditional egg bread, which includes… omelet and bread. However, a little bit more effort for a lot of reward, with some small changes and additional ingredient, your daily boring egg bread will be more delicious than ever. Try it! Cut the baguette into thick slices, create a hole in the middle of the slices then, fry on a pan until all of their sides are crispy. Next, beat one or two eggs and pour them into the bread hole. Turn over and keep frying in 1 minute. Cut bacon into small pieces, sauté and then, top on the egg bread surface. The finished product is when cutting the bread, the soft-boiled eggs will attractively run out, which is the main reason I call it volcano egg bread. Marinate beef tenderloin with olive oil, salt, pepper, fresh milk, rosemary and silver foil, cool them in the refrigerator for 30 minutes. Peel potatoes, wash and slice into itty bitty pieces. Marinate with little salt, pepper and olive oil. Bake the potatoes at 150oC in 10 minutes, or 180oC in 3-5 minutes depending on the amount of potatoes and the style of slicing, but in generally, bake until they turn into a beautiful golden-brown color. Then, add the olive oil to the pan, fry eggs. Next, add a little bit more olive oil and fry pate to hot. Place the beef in an air-fryer pan and cook in 180 ° C in 8-10 minutes. Serve with bread, eggs, potatoes, pate and salad! 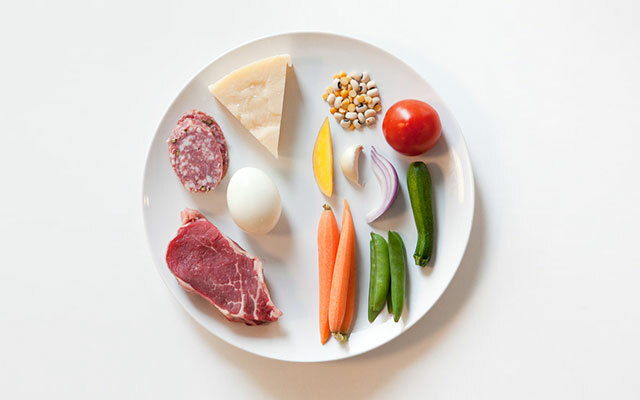 Aside from these recipes, you can even innovate in your traditional omelet, such as adding mozzarella cheese. If you haven’t tried it yet, I highly recommend this for its incredible taste. Eating with some cucumber slices or your favorite vegetables to soup up the flavor and to avoid getting bored because though they’re delicious, I myself find it’s quick to get bored. – Cut the meat as big as a matchbox, marinated with a spoonful of minced garlic, onion, salt, sugar, seasoning and pepper. Let it aside in 30 minutes. – Meanwhile, boil all eggs. While boiling, remember to add some salt so that eggs are easier to peel off. – Remove egg shell, use a clean cloth to dry wipe them, fry in oil pan until they turn into golden brown color then, pick out to the oil absorbent paper. – Preheat the oven, add about 2 tablespoons of sugar into the pan, heat until it turns into a gold brown color then add the meat, combine to let them absorb the sugar liquid evenly, then turn heat down to small-medium, cover with a lid and keep cooking in 30 minutes. Take note that avoid adding water to the pan. After that, add the eggs and seasoning. – Last up, sprinkle with some pepper. Serve with vegetables and rice. Slice ​​tofu into itty-bitty pieces, put in a casserole. Wash meat, then, dice or chop it into thin slices. Next, place them in the bowl, add the ginger, soy sauce, salt, wine, oyster, corn oil mix and marinate in about 10 minutes. Place tofu in the middle of the casserole, take note that you should choose the heat-resistant casserole. Then lay the meat around the tofu. Then beat the quail eggs and add them into the bowl. Cover it with food wrapper. Use a toothpick to toss a few small holes in the food wrapper. Boil the water in the steamer and place the tofu casserole into it. Steam it in 15-20 minutes, remove the food wrapper. Sprinkle with 5 grams of soy sauce on the surface and add a little sliced ​​green onion. Beat the egg into a bowl, then add the cooking wine, salt, water, black sesame seeds, ground pepper and crushed eggs into it, mix up. Preheat an oven, add cooking oil into a pan. Next, quickly put a leaf of seaweed on the egg and slowly roll it, then, place on the side of the pan. Then pour another layer of egg into the pan. Put on a seaweed and cheese and continue to roll it, again, leave the egg on the side of the pan. Repeat step 4 with residual seaweed, roll egg and then fry for more 3 minutes to fully cook it. Now, transfer them onto cutting board, cut into pieces about 2-3cm thick, sprinkle with mayonnaise and ketchup on surface. Finish! In addition to those variation of dishes with chicken eggs like I’ve mentioned and guided you above, if you can think of other recipes, kindly share yours in the comment section below for everyone to refer to your creativity.